The wife and I was at the sales gallery of The Nautical (Tan: this one's for you!). This is the latest 99-year leasehold project by China developer MCC Land located along Sembawang Road (District 27). For those unfamiliar with the location of The Nautical, the project is sandwiched between the (new/rebuilt) Sembawang Shopping Centre on one side and Canberra Residences (another private residential project by MCC Land that was launched early of last year) on the other. 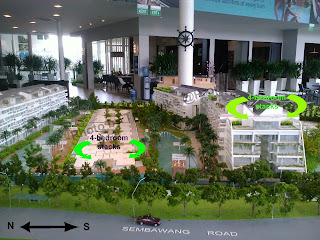 Entrance to The Nautical will be along Jalan Sendudok, which is a slip road between Nautical and Canberra. The sales gallery for The Nautical is located on an open field diagonally across the road from its actual site. And for those who are more visually inclined, below is a photo (taken from the HDB block across from the showflat) showing the locations of all the "landmarks" mentioned earlier. The Nautical is a low-rise development consisting of 435 apartment units, spreading across a whopping 17 blocks of 5-storey each. 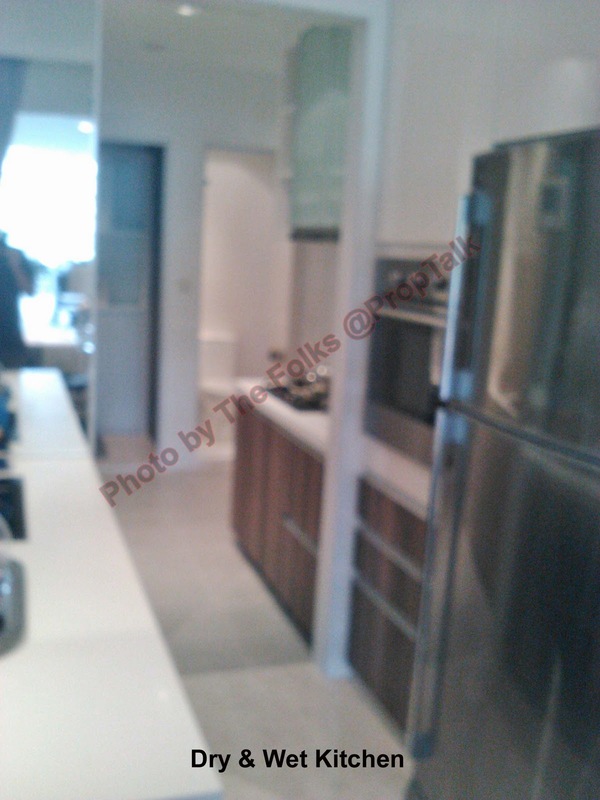 And unilke many of the new project these days, the bulk of the units at The Nautical are 3-bedroom apartments. These come in two types: 3-bedroom (standard) and 3-bedroom (premium). 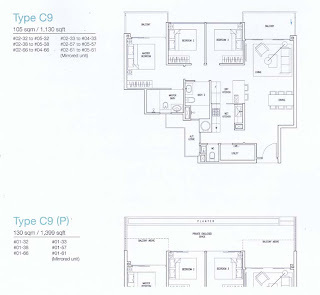 For those who are looking at 4-bedders, there are only 16 units of such type within the development (unless you wish to conisder the penthouses). Consolation is out of the 16, only 4 (ok, maybe 5) have been sold thus far - the wife and I have a theory on why this is so, which we will share in due course. The sales gallery was rather empty when we arrived, probably because it was a weekday afternoon. There are 2 showflat types on display within the gallery, i.e. 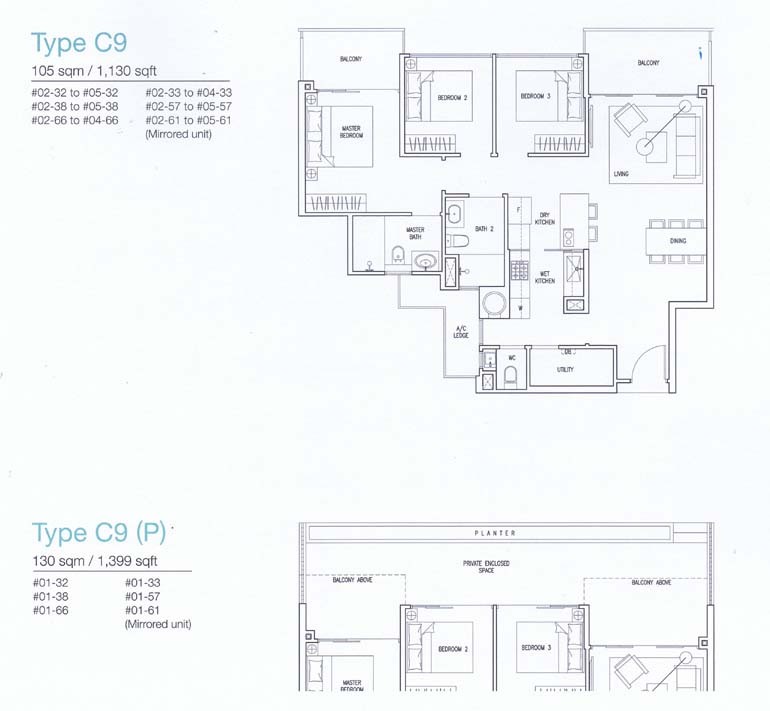 the 3- and 4-bedder, ground-floor units. Since most of the units in The Nautical are 3-bedders, we will focus on this unit type for the purpose of our review. As you enter the unit, you have a choice of turning left into the yard/wet kitchen (one of two entry points) or walking forward into the living/dining area. The living/dining room is a longish rectangular area and given the size, small furnitures are probably in order. You get 60cm x 60cm homogenous-tile floor (which comes with a choice of "warm" or "cool" color themes) and 2.9m ceiling height (3.1m for ground-floor units). 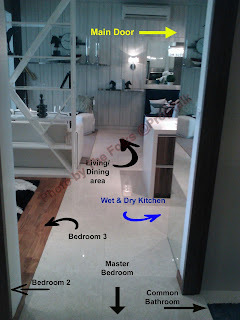 The apartment comes with both "wet" and "dry" kitchen area (sorry about the poor photo quality). Given the size of the apartment (i.e. interior space of no more than 1,000sqft), we actually prefer that the developer dispense with the dry kitchen as it will free up more space for the living/dining area. The "standard" 3-bedder, coincidentally, do not have a dry kitchen. The "wet" kitchen is a small strip of an area, which is probably just sufficient for one person to work in. In terms of appliances, you get "Electrolux" hood/hob and oven. You also get an induction hob on the "dry" kitchen table-top. However, you have to purchase your own fridge. The other thing that we do not quite like about the kitchen are the cabinets, which come with "standard" hinges (slam! slam!). The utility room will require a customized bed if intended for housing your helper. There is an additional bathroom next-door and an a space to house your washing machine. The yard is well ventilated by a set of windows, which also means that you probably can hang your laundry out of the window (we apologize again for the photo quality). Again for the benefits of the visually inclined, below is a photo showing the orientation of each of the living spaces within the apartment. Both the common bedrooms are tiny - you have hardly any space left after putting in the wardrobe and single bed. Maybe that is the reason why the interior designer had resorted to putting the standing hanger in the balcony! 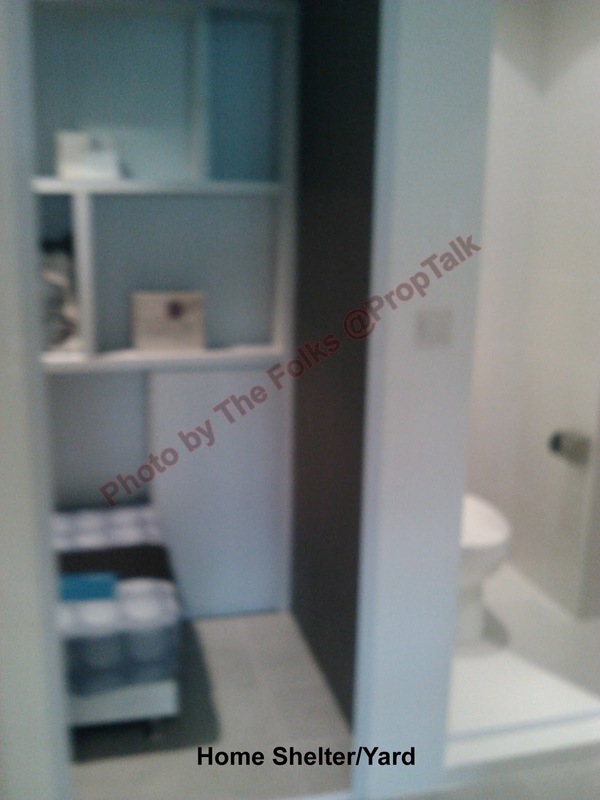 The common bathroom is fairly good-sized and comes with homogenous-tile floors and ceramic walls. It also comes with bathroom/toilet fittings from "Roca" and "Bravat" and a standing shower stall. 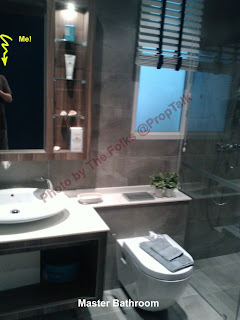 The wife and I found the overall design of the common bathroom somewhat basic and the color theme a tad too "plain"
The master bathroom is good-sized and we liked the color scheme and design much better (than the common bathroom). However, you still get the same homogenous-tile floors/ceramic walls and shower-stall with your "standard" wall-mounted shower. Price wise, a 1,119sqft 3-bedder unit on the 2nd floor will cost you $984,200 after a 5% discount. This translates to about $880psf. Prices to increase by about $10K with each floor up. • One can access the yard/wet kitchen area as you enter the main door, without having to walk across the living/dining room. This is especially handy when you are carrying all those fish/meat/vegetable bought from the wet-market. • All the rooms are regular-shaped with no odd nooks or corners that you need to worry about. 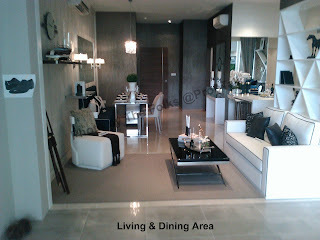 • The size of the living/dining area and all bedrooms are too small for our liking. But we reckon this is the "sacrifice" you have to make when you fit a 3-bedder apartment inside an internal space of less than 1,000sqft. • The wife and I are perplexed by the rather huge A/C ledge that comes with each apartment - this is a space that you have little/no use but still have to pay for. • We are not particularly impressed by the quality of finishing and fittings as seen in the showflat. 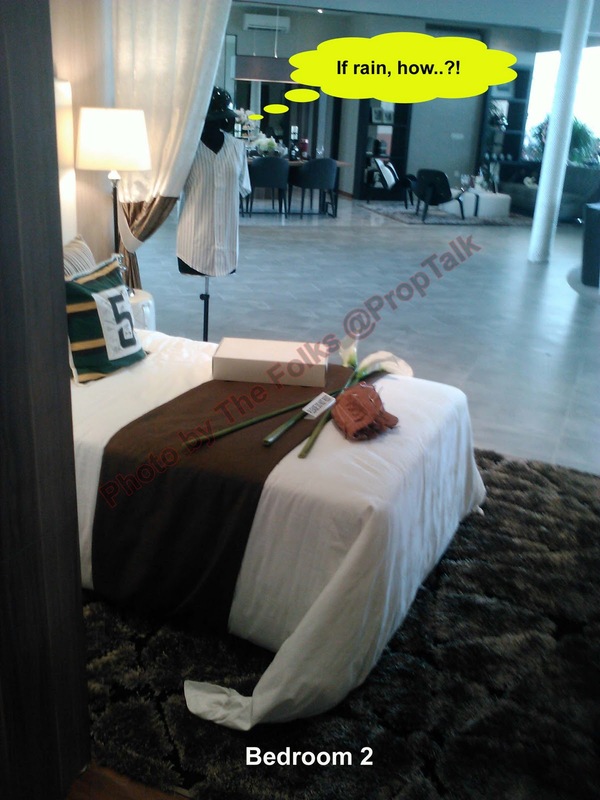 Then again, maybe this is what we should expect with apartments of less than $1,000psf these days? 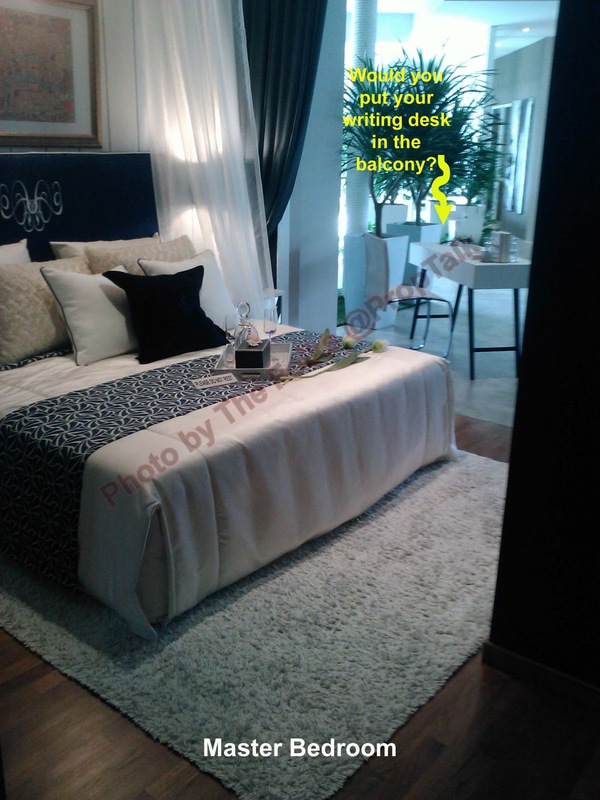 • Although the balcony/PES area in the showflat are clearly demarcated, the blatant use of balcony area for inappropriate purposes (writing desk?) to make the showflat looked more "spacious" is rather disappointing. For those of you still waiting for our theory on the 4-bedder "take-up rate" (or the lack thereof): if you look closer at our photo of the scale-model of The Nautical, you will realize that ALL the 4-bedders are East-West facing. This means that your apartment will feel very much like a sauna on a hot humid Singapore afternoon, as it gets the full impact of the West sun. We have heard alot about The Nautical and its supposed strong take-up rate before our trip to the showflat. But based on what we have seen, we are not at all impressed by the offerings. To be fair, the average psf price of below $900psf is probably one of the most attractive around. This is especially when compared to other new projects currently in the market ($980 - $1,500psf for Watertown in Punggol?!). However, the location of The Nautical (rather "ulu" and far from everything else except Sembawang Shopping Centre) and the quality of the project have left little to be desired. Given such, we reckon The Nautical will probably only appeal to those currently living around Sembawang or nearby areas. As for the rest of us...there are always other projects that you can look at. 21 comments to ''The Nautical (Review)"
some ppl call it "ulu" but some call it "resilient" and far from the noise of city haha! 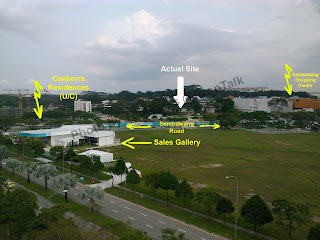 *p/s: there's one tennis court on the block 99.. you have overlooked it..
there's also the NSE coming soon in the nearby Gambas ave, as well as the "speculated" Simpang NS12 MRT just beside the land.. but will take some time to realize..
Haha. Thank you guys for the long review! 1. We can only based our review on what we saw at the 3-bedder showflat. However, we did go through the floor plans of all the 9 different 3-bedder variants and they all seemed to have the common threads, i.e. small bedrooms, large A/C ledges c/w the unit size etc. 2. Walking distance to Sembawang MRT: You certainly can walk faster than both of us, as it probably took us slightly over 15 mins to cover the distance. And looking at some of the online comments we found on the same subject, it looked like we weren't walking too slowly either! 3. More importantly, thank you very much for pointing out our oversight about the tennis court. We have since amended our review to reflect such. You may be referring to stations along the Thomson MRT Line, which will supposedly be completed by 2018. But you are right about the NSE though. haha not dumping. typo. it's simpang. most of the condo provides condo bus to MRT station. so should be fine. currently I stay far away from MRT station so relying on condo bus. 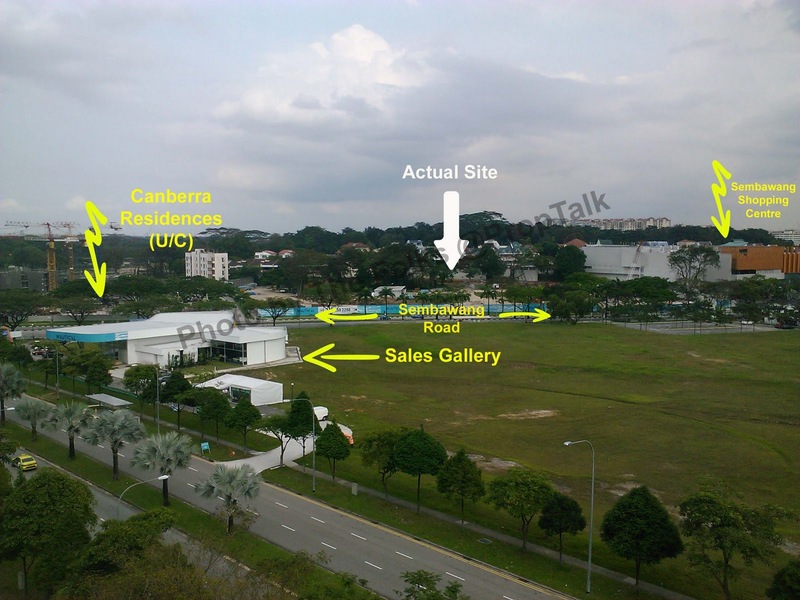 anyway the current showroom site is the future sports n recreation centre. u may refer to the masterplan 2008.
true regarding the inefficient usage of floor size for the AC ledge haha! should hv converted to usable area will benefit more. anyway it's the 3 bedders in less than 1000 sqft, n with such pricing it's hard to find elsewhere d..
yes confirmed have condo bus. maybe you hv overlooked it again. the condo bus will be free for first year n subsequently take over by management. since it's sports n recreation centre.. it might not be narrowed down to the football stadium only. could be a park n indoor stadium. but plan yet to be released.. so speculation here haha. there are huge lands to be developed jz beside the Canberra drive.. as well as the residential area near the nautical site.. I would say there are high potentials for the future .. anyway time will tell.. Thanks and we blame it on the marketing person attending to us. The wife and I are pretty certain he did not tell us about the condo bus (cos if it's an oversight, we would admit to it). Agreed that anything can happen in the future with regards to development around Nauctical/Canberra. Maybe the goverment may decide to make Sembawang the "Gateway of the North" much like the Jurong Lake Districts. Or if you choose to believe in Roland Emmerich (producer of the movie "2012"), the world may just come to an end this year! But the wife and I can only base our opinion on what we know or have read over the past few years. And from whatever little we know/read (cos we aren't experts in Sembawang), nothing in the likes of Jurong or Punggol have been laid out for this area (yet). Having said that, it is a project worth considering for. For those interested can call me at 97998253. 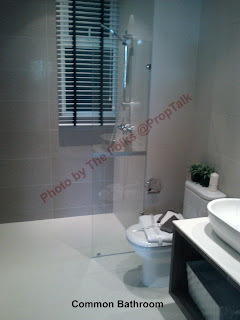 My name is Joseph Tan from Propnex. And maybe we should start charging those who advertise on our blog. 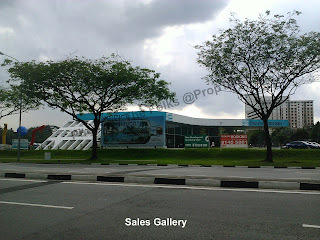 I think the developer increased the price by abt $20 psf even though the demand has tapered off. The maintenance is more than $300. I think it is a good buy. I love staying in Sembawang especially away from crowd place like Yishun or woodlands. Visited 8CY, 1C, PRW but still prefer Nautical. Hello folks@PropTalk, I'm considering a unit at the nautical. About the walk from the condo to sembawang mrt, may I know if you walked along the main road or cut through the hdbs ? Was told it was 20 mins if I walked along the main road and 10 mins if I cut through the hdbs at canberra.